With Auditel telecom news you can monitor the latest telecom recovery news. Auditel investigates and follows telecommunications FCC lawsuits and the final settlements. With Auditel telecom news you can monitor the latest telecom recovery news. By monitoring the FCC rulings, and following the cases, we can give you the updates. See for example the 2012 telecom refund that started out at $52 Million but ended up settling at $5.2 Million. 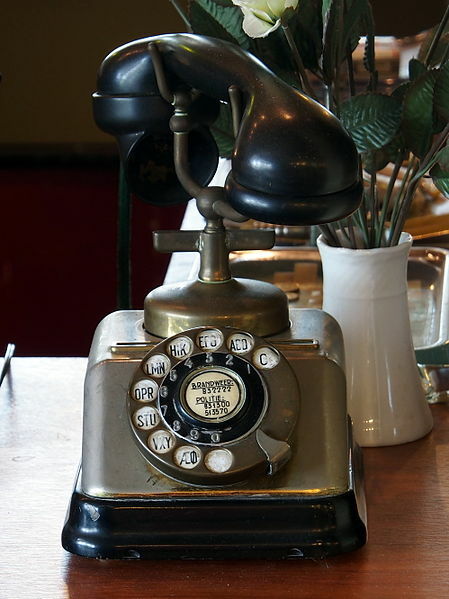 2016 was known for the UUT (telephone utility users tax). The UUT tax was extended through June 19, 2016. In fact, the City of Los Angeles agreed to pay up to $92.5 million to settle the UUT class action lawsuit of Ardon versus City of Los Angeles. did you file and claim your AT&T Wireless refund by May 2015? Also read about the $90 Million T-Mobile Wireless Refund for Cramming in 2014. 2013 was the year for Verizon Third Party Billing Settlement of Moore et al., v. Verizon et al.Case No. 09-cv-1823. SBA United States District Court for the Northern District of California. The purpose of the Moore versus Verizon lawsuit was to get refunds for all former and present Verizon customers for unauthorized charges they paid. 2012 was the year the FTC Seeks Return of $52 Million Worth of Bogus Phone Bill Cramming Charges; Agency Charges Nation’s Largest Third-Party Billing Company BSG (BSG Entities) aka Hold Billing Services, Ltd.; Avery Communications, Inc.; Veterans of America Association, Ltd.; et al. 2010 was the year FCC Uncovers Mystery Fees inside Verizon Wireless bills up to $90 Million in Refunds Expected. Over 15 Million customers will get money back from Verizon! This report seems far fetched, so we dug into the evidence. Our story comes from two reliable sources, an October 3rd, 2010 Verizon Press Release, and an October 3rd, 2010 FCC Press Release. 2009 Telecom Survival Guide News. Learn about telephone unauthorized charges that fraudulently appear on your phone bill. The charges noted in the 2009 article are regarding “cramming”. 2008 Do Your Homework Before Outsourcing Telecom Millions of dollars are lost each day in telecom billing errors and some of them are entitled to refunds. 2007 Is Your Telecom Technology Up to Date? While consumers are overwhelmed by telephone bills and contracts, just imagine how Corporations keep track of their telephone bills. How many telecom refunds and telecom recoveries have you noticed in the news? Below you can see some of the largest in history telecom law suits and telecom recovery. Some of the telecom refunds are from FCC or FET involvement, but not in all cases. Some cases come from consumers and Service Providers. We follow the FCC lawsuits and settlements. Find the latest telecom news here on telecom news. Learn how the FCC says that 15-20 Million households per year are affected by cramming. Can you imagine how many various fees are hitting business telecom invoices? In summary, we have listed the top telecom lawsuits and settlements for telecom recovery.